Remember that crazy statistic I shared last week about umbilical cords of newborn babies containing more than 200 toxins (1)? Without a doubt, every mother to be would like to reduce this number. According to the World Health Organization (WHO), dioxins are highly toxic compounds and part of a larger group of chemicals called persistent organic pollutants (POPs) that can cause developmental issues, damage the immune system, and interfere with hormones. They’re not usually found in the air, water, or plants, but are heavily concentrated in soil and food (dairy, meat, fish, and shellfish). Because it’s almost impossible to avoid what is called “background exposure” to dioxins because they’re everywhere, adding a supplement to help the body get rid of them faster would be a great idea as their half-life in the body is somewhere between 7 and 11 years (2). Chlorella, a single-cell green algae, can be used as a proven supplement to remove dioxins from the body. A small study done in Japan showed that pregnant women who took Chlorella passed on fewer dioxins to their infants and also had breast milk levels of dioxin that were 30% lower than women who did not supplement with Chlorella (3). Other studies have confirmed Chlorella’s ability to remove dioxins from breast milk (4). And while it is lowering toxin levels, it may also be increasing levels of immunoglobulins (5) and carotenoids (6). Immunoglobulins are how a mother passes on immunity to her newborn whose immune system is not yet fully developed and carotenoids are a vitamin A precursor, also important for immunity as well as development. Improves immunity. Chlorella does this in several different ways. It can enhance the activity of natural killer cells (7). Chlorella supplementation can also increase secretory IgA (8) which may indicate that it enhances mucosal immunity (essentially immunity in your gut, which contains roughly 80% of your immune system and impacts overall immunity). Vigorous exercise can reduce secretory IgA but supplementing with Chlorella can attenuate this (9). This is good news for athletes who don’t want to get sick before a big competition! Removing toxins, like dioxins, also promotes better immune function by getting the trash out. Improves quality of life in patients with cancer. Women with breast cancer who supplemented with Chlorella found overall improved quality of life including a reduction in fatigue and a decrease in dry skin (10). Patients with gliomas reported similar good results (11). Anti-aging. Chlorella helps prevent damage to DNA and telomere shortening, both hallmarks of aging (12). It is likely that it’s because of its antioxidant properties that make it a potential anti-aging supplement (13). Anti-oxidant. Chlorella improves the antioxidant status of red blood cells (14). A study of Iranian men who were longtime smokers showed that Chlorella improved their antioxidant status and decreased the lipid peroxidation. Lipid refers to fat, including cholesterol, and peroxidation makes a good fat become dangerous (15). The antioxidant capacity of Chlorella has also been studied for prevention of diabetes caused by oxidative damage to pancreatic beta cells (16). Liver Protective. Several studies have shown that Chlorella can positively impact the liver. One study showed that it increased Phase II detoxification enzymes in the liver and decreased damage caused by alcohol leading the authors to conclude that it has potential as a hepatoprotective supplement (17). Chlorella has also been shown to decrease elevated liver enzymes (which indicate liver damage) in people with NASH (18) and hepatitis C (19). Tthe patients with hepatitis C also saw a decrease in total viral load, showing again that Chlorella supports immune function. Anti-cancer properties. It is both antiangiogenic and antiproliferative, or in other words, Chlorella may help to halt the unchecked growth characteristic of cancer cells (20, 21). Reduces body fat and cholesterol, improves blood sugar and insulin resistance. Both human and animal studies have shown improvements in fat and sugar metabolism when Chlorella is used as a supplement (22, 23, 24). What about Using Chlorella for Detoxing Heavy Metals? This is a traditional use for Chlorella. I myself have used special preparations of broken cell wall Chlorella in combination with other supplements and seen good results. However, most of the research on Chlorella has been on animals and indicates more protective effect of Chlorella against damage caused by the metals than actual chelation of the metals. If you would like to supplement with Chlorella, choose a brand that has been tested for heavy metals and toxins. You definitely do not want to start a supplement to help with detox and end up adding to the overall toxic burden! Consensus seems to be that the cleanest Chlorella comes from Taiwan. For tablets, I think Premium Chlorella is a good choice and for powder, I think Starwest Botanicals works well. If you have an autoimmune disease, use it with caution. It might be wonderful for you but the immune boosting effect might also have an adverse impact. If you are taking immunosuppressive drugs or warfarin, you will want to consult your doctor before supplementing. Chlorella can also cause adverse GI symptoms or allergic reactions in some people, so start out slow and make sure it feels right for your body. Lastly, it can cause photosensitivity in some people, so be mindful of your sun exposure and be sure not to burn. 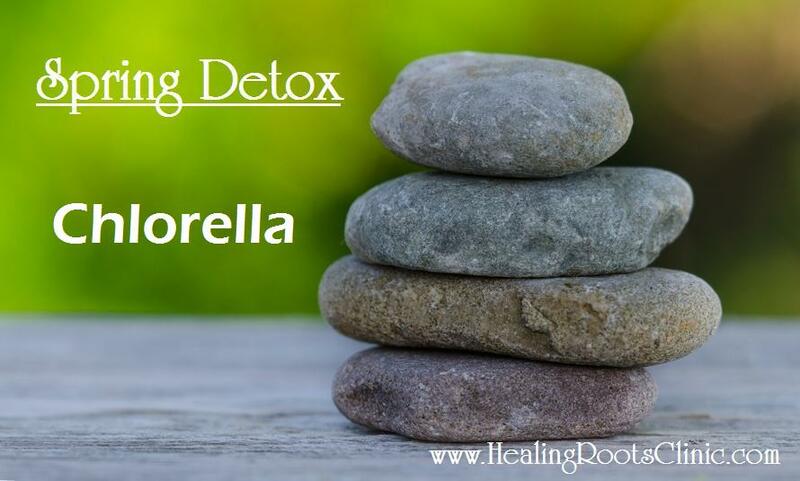 This entry was posted in Detox, immune, Infection, Natural Medicine, Nutrition, Supplements and tagged Detox Chlorella Naturopath Doctor Denver Colorado, detox denver colorado, natural medicine denver colorado, naturopath doctor denver colorado. Bookmark the permalink.